John Dredge's Blog of Blogs: now online, episode two of The John Dredge Nothing To Do With Anything Show! 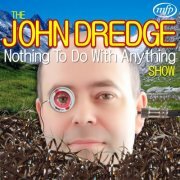 now online, episode two of The John Dredge Nothing To Do With Anything Show! http://404media.blogspot.co.uk/2012/05/john-dredge-nothing-to-do-with-anything_23.html Tune in to 404 Funny now(see link above)for our next exciting episode! This week's long-range programme comes to you from a burgon dispensing plant in Frinton, and includes fabulous adventures concerning artichokes and a special mention of New Malden for fans of New Malden. There's an unedited interview with a slightly odd person, and one of Britain’s oldest actors makes a special appearance inside a fish tank. Come, listen hither to our green inflatable audio extravaganza presented by John 'Radios' Dredge, fifth in line to the throne at Woolworths.